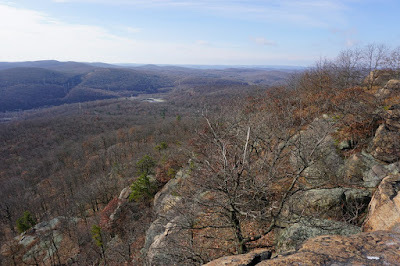 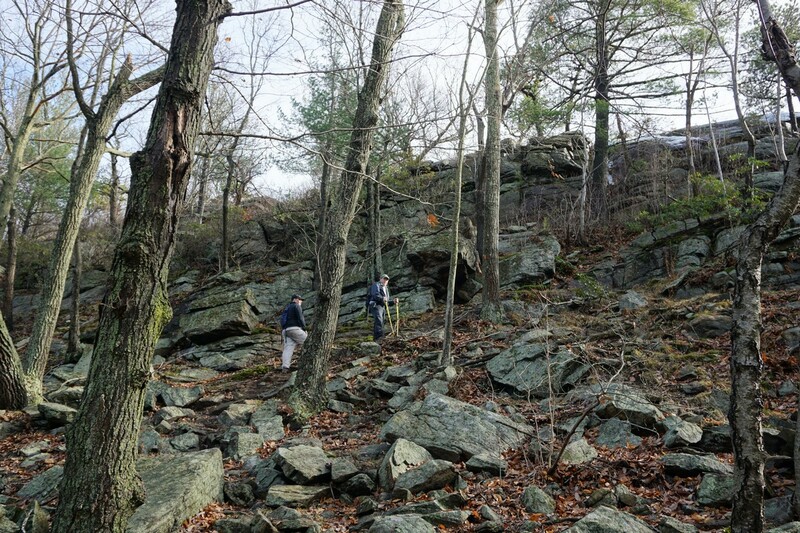 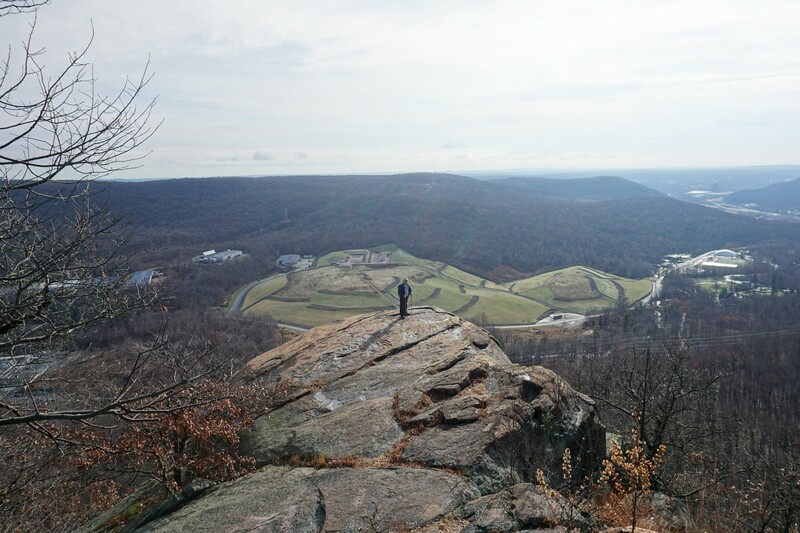 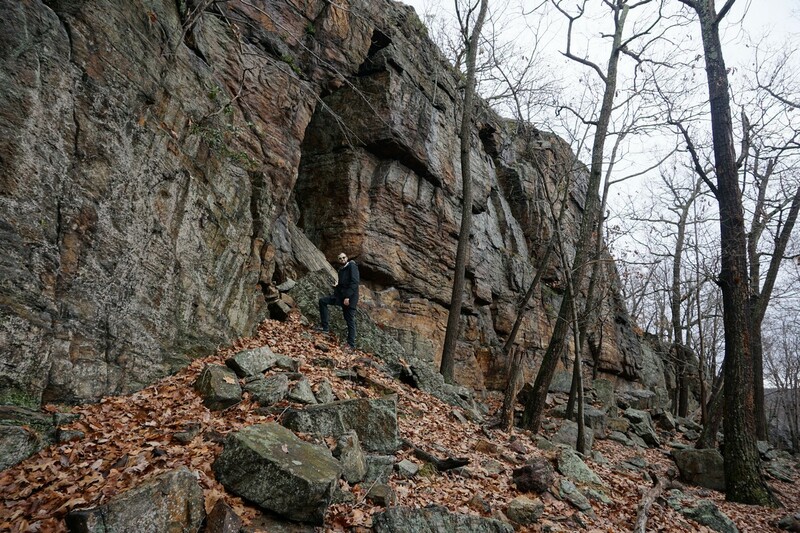 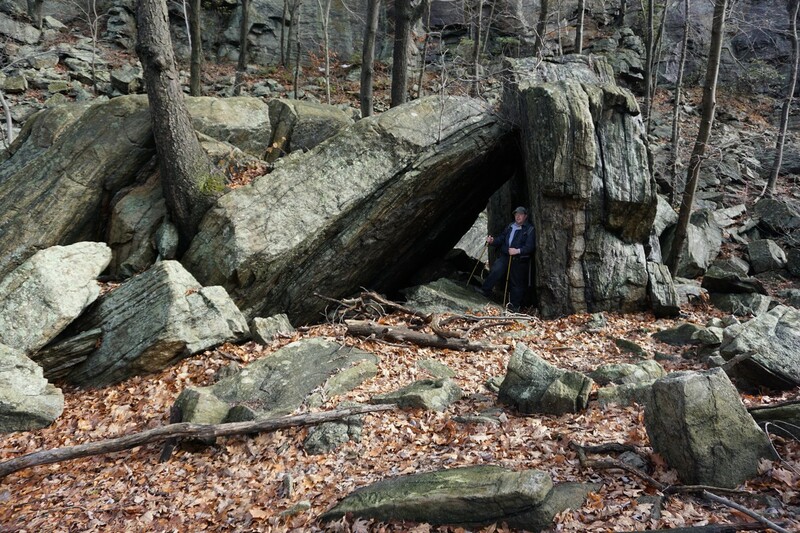 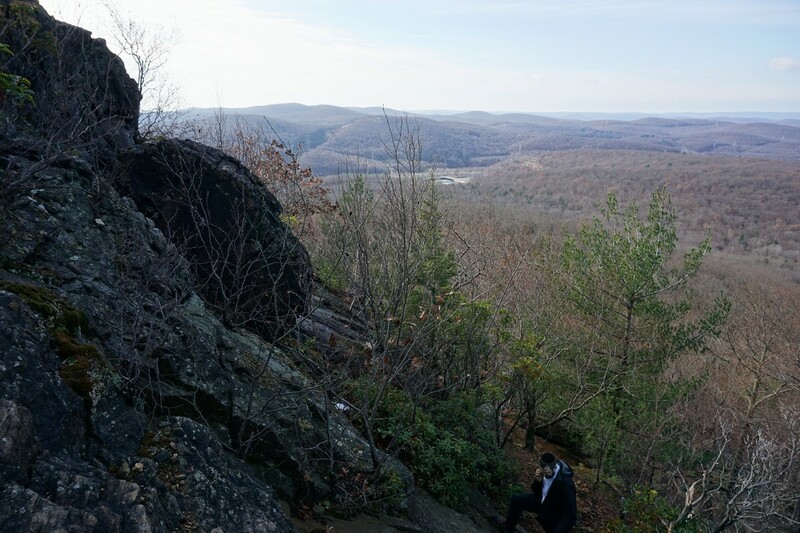 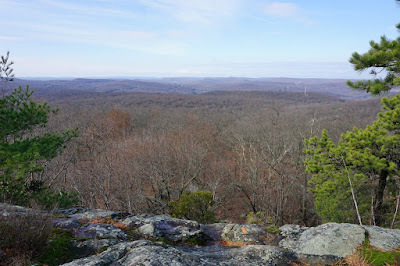 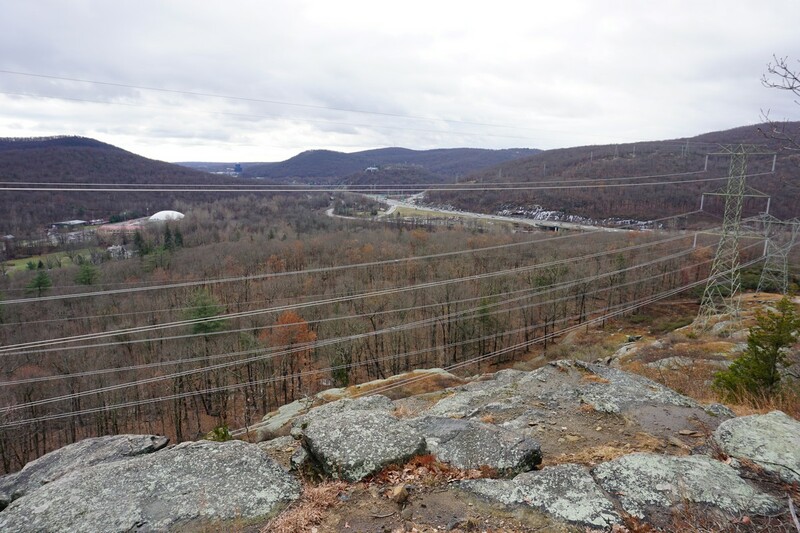 In 2013, an area in Harriman State Park near Torne Valley Road had opened up to rock climbing. 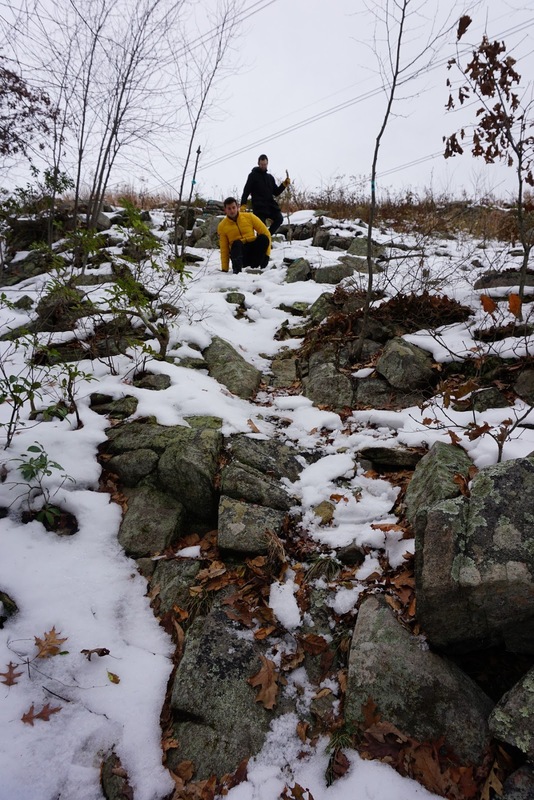 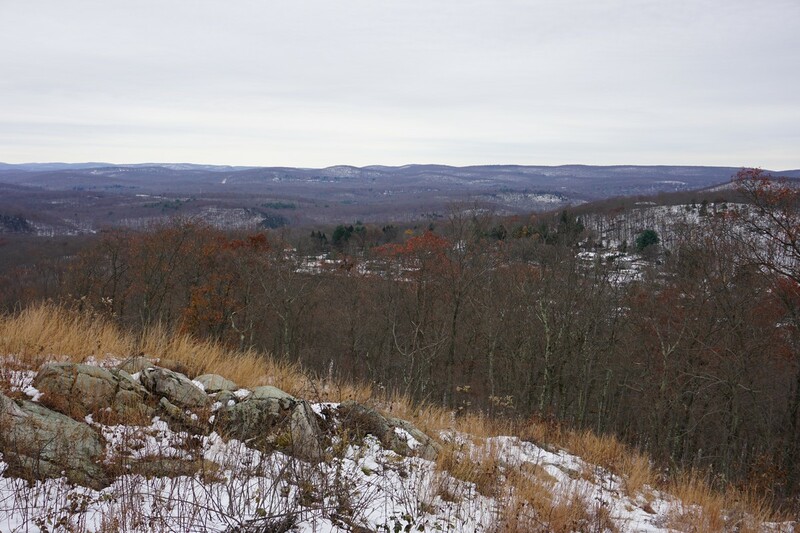 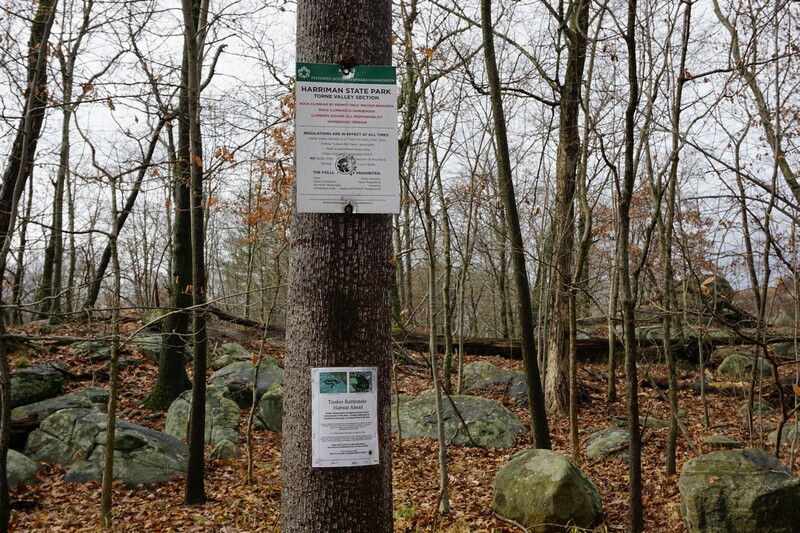 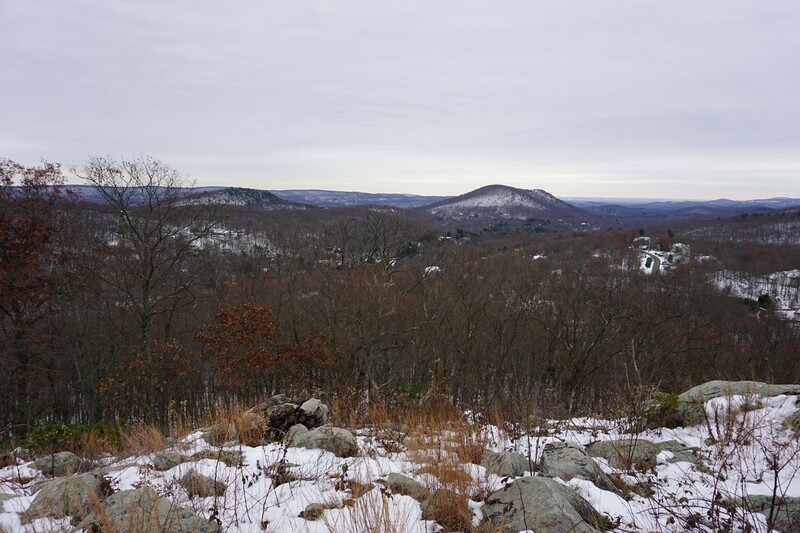 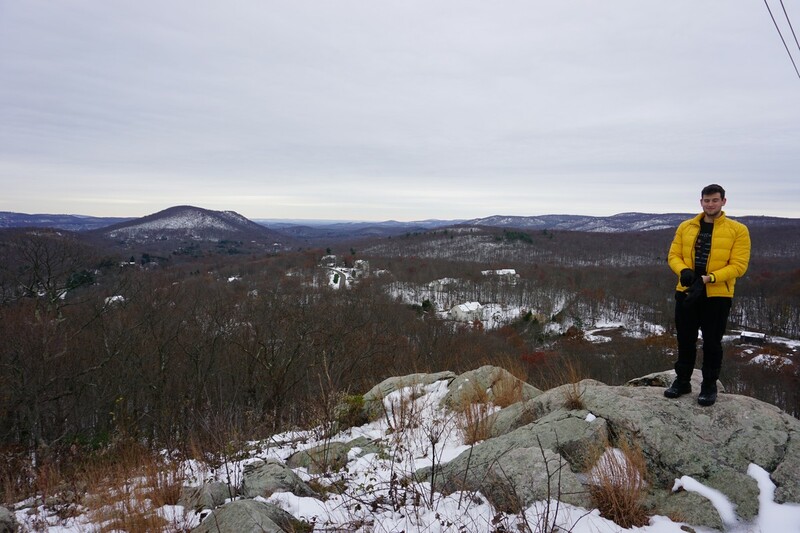 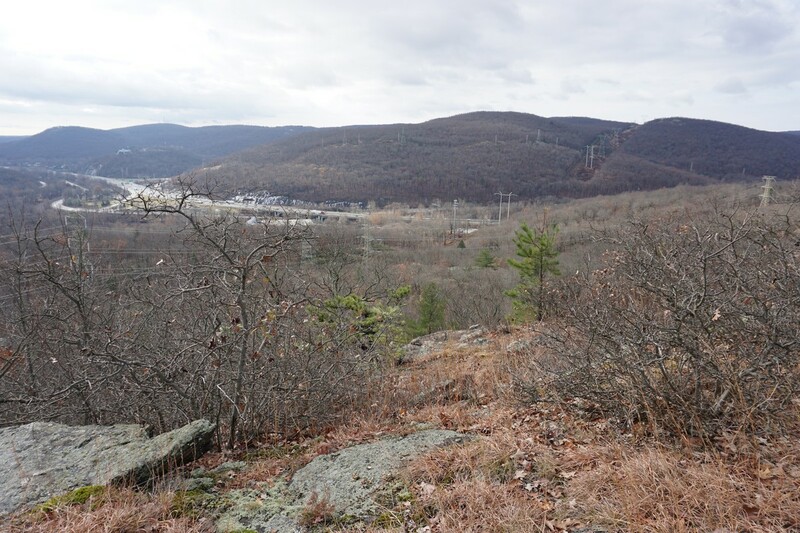 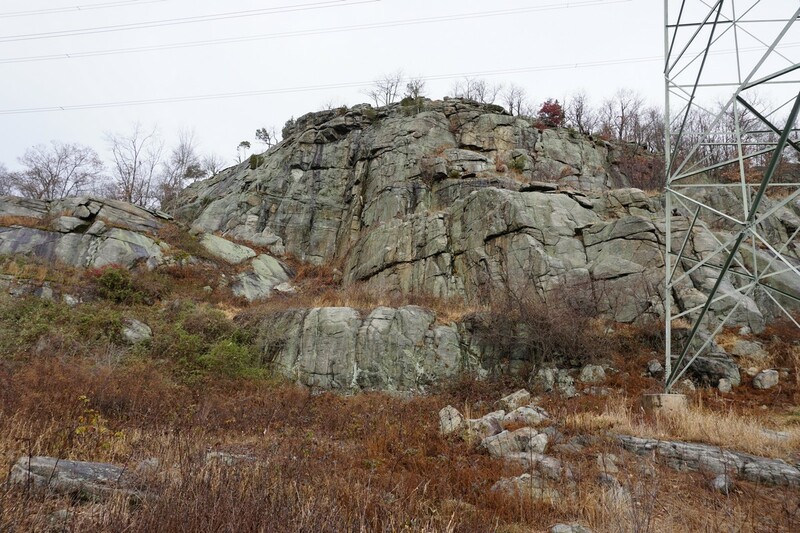 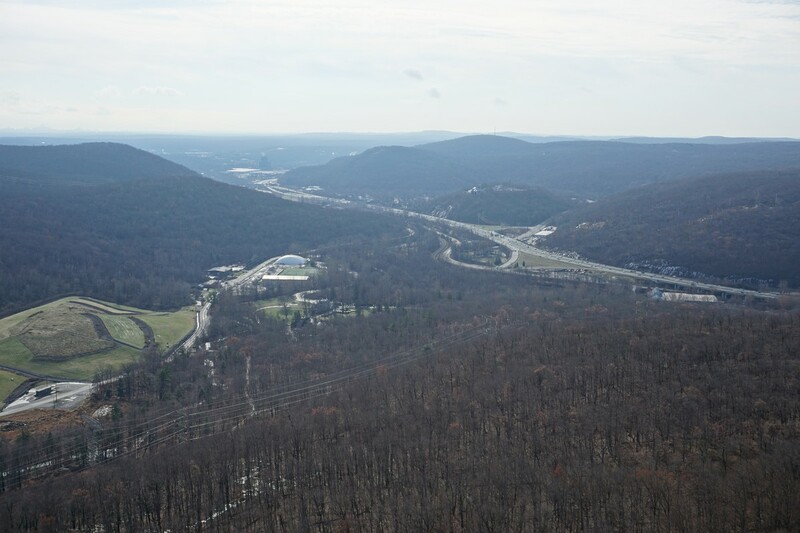 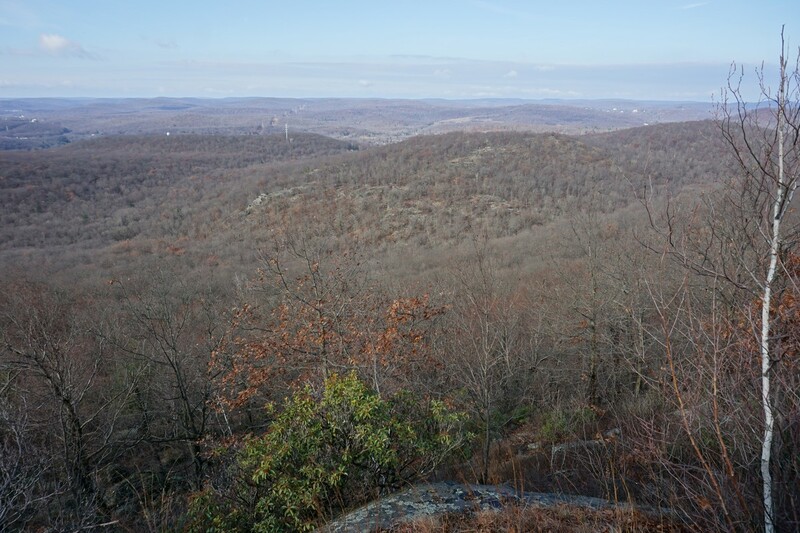 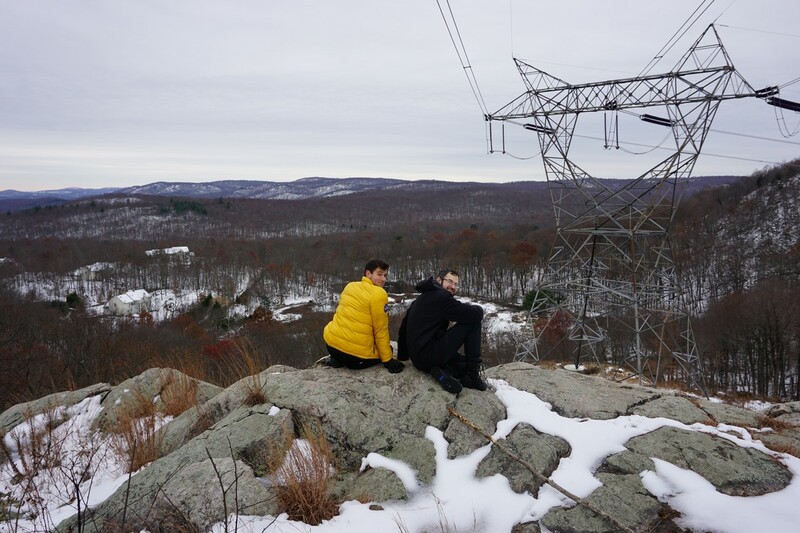 This was due to positive efforts by the Torne Valley Climbers' Coalition to get the state to allow climbing in this rugged area of Harriman with steep cliffs and rock walls. 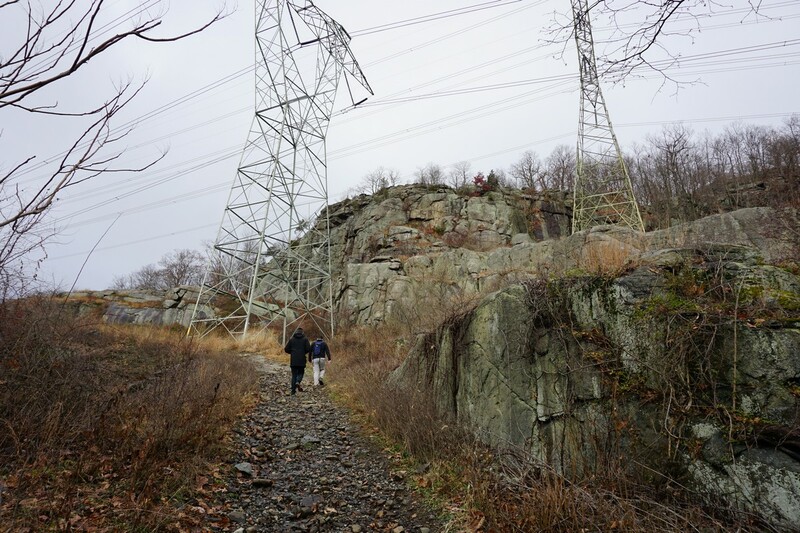 This area, known as the "Powerlinez" is now a popular area for small-scale rock climbing that is very close by. I had never been hear before, and only heard about the area, and decided to check it out. 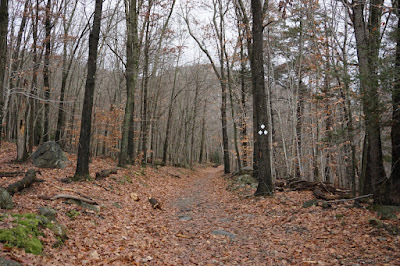 It was very quiet when were there, with no one in sight in the area. 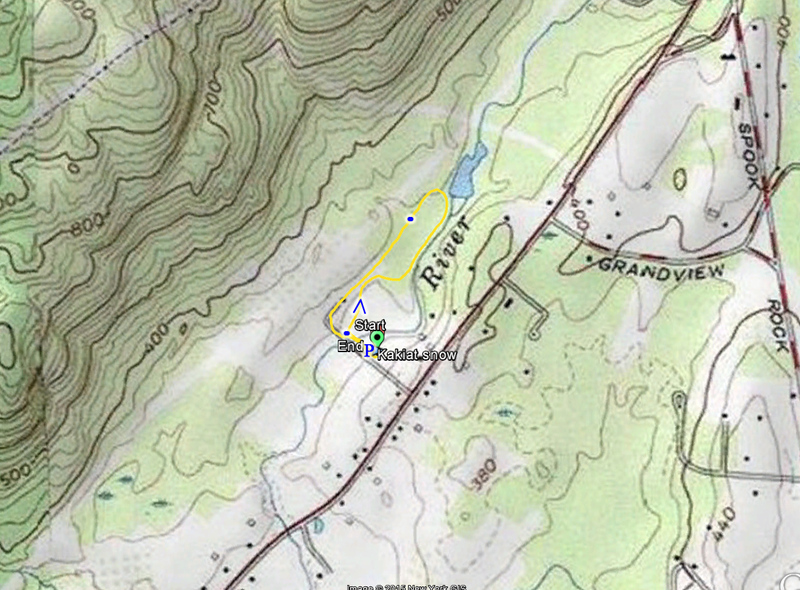 None of the rock climbing trails and routes are in the Trail Conference maps. 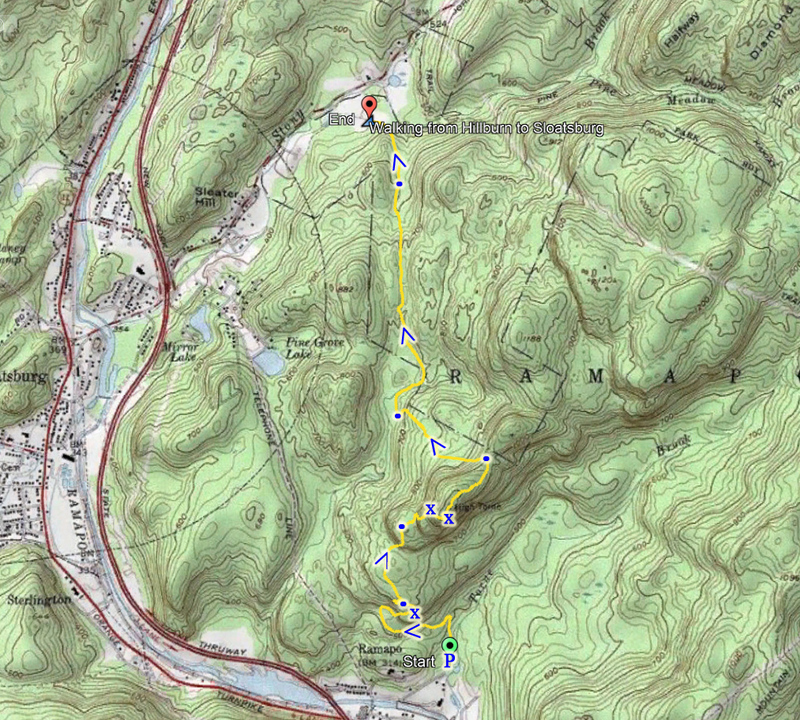 I made due leading the way on the trail blazes, as well as using GPS. We did this as a two car hike. We parked one car at Tone Valley Road, and the other at the Reeves Meadow area off 7 Lakes Drive. 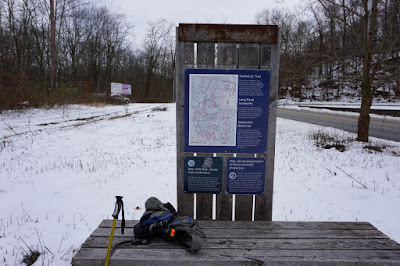 We started at the Torne Valley area, taking the White Trail white has its terminus here. 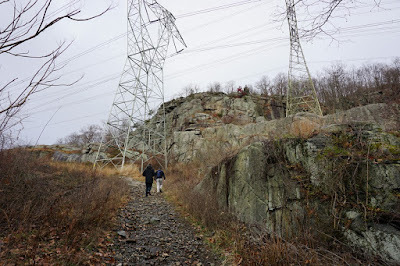 We continued along trail to where it goes under the power lines, and we observed the many rock walls for climbing. We took the White Trail to the Orange Trail, which abruptly ends supposedly at the end of the area where climbing is allow. 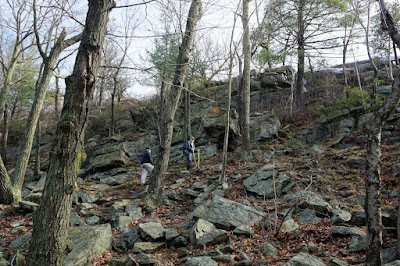 At this point we bushwacked from this area to the Hillburn Torne Sebago (HTS) Trail. 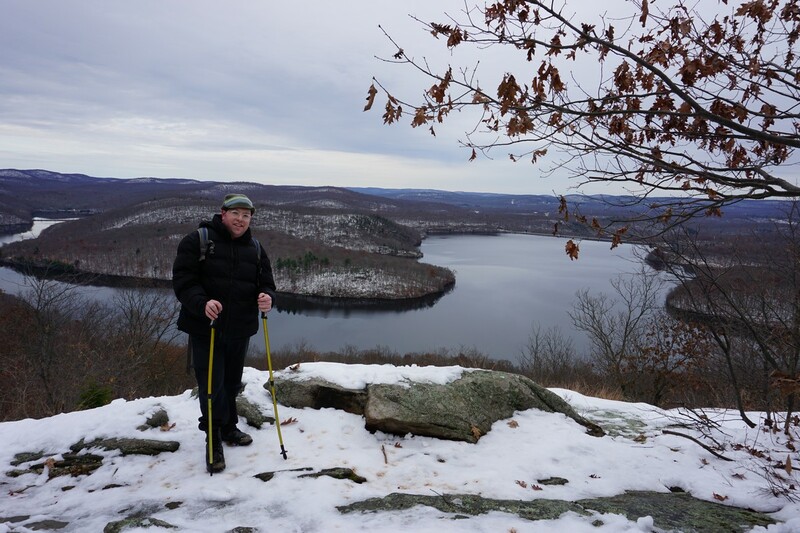 After meeting up with he HTS Trail, we climbed to the top of Ramapo Torne, where there is an exceptional view. 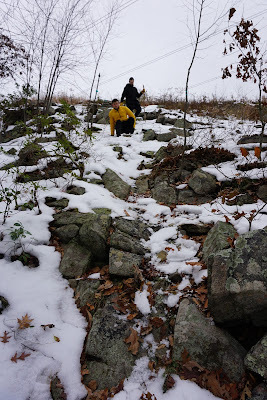 We continued along the HTS Trail, to its intersection with the 7 Hills Trail, which we took down the mountain. 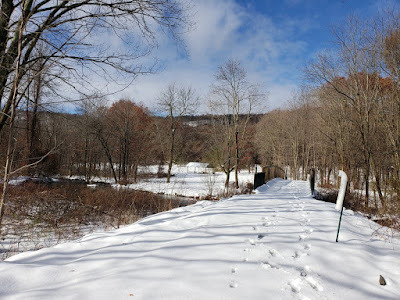 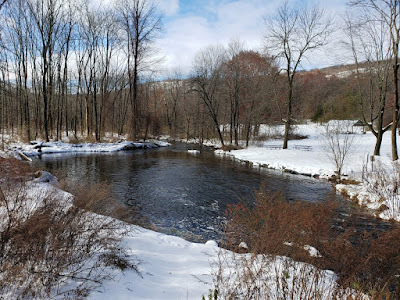 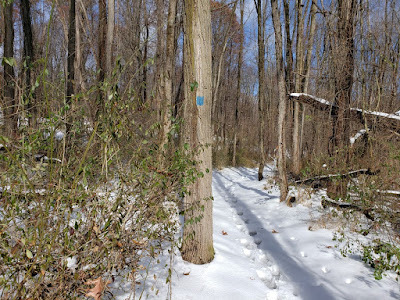 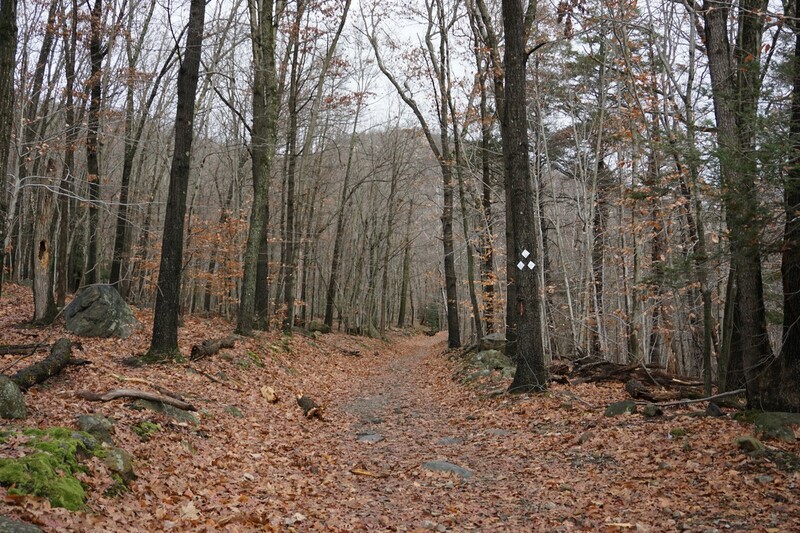 We continued along the 7 Hills Trail to the unmarked connector trail to the Reeves Brook Trail, which we took to the trailhead where the second car was parked. 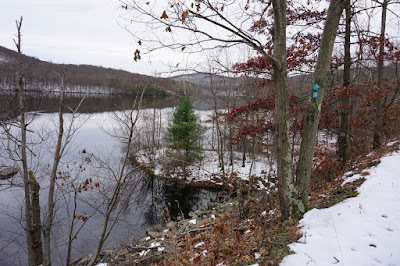 I have been to the Monksville Reservoir area many times, but I never did this very scenic trail before. 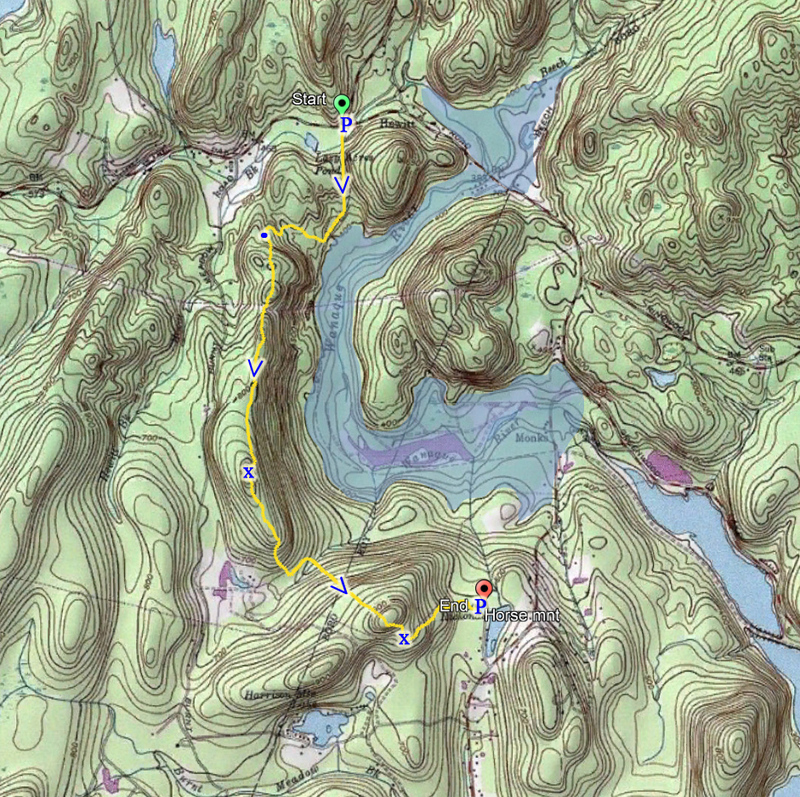 The route is along the ridge on the western and southern side of the reservoir. 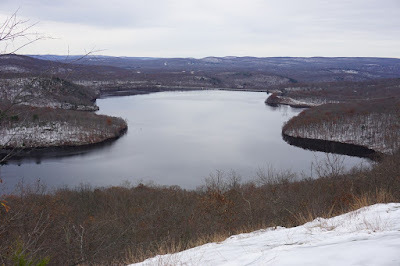 We did a two car hike, parking one car at the Hewitt Butler Trail trailhead on Greenwood Lake Turnpike, and another car at Lake Riconda. 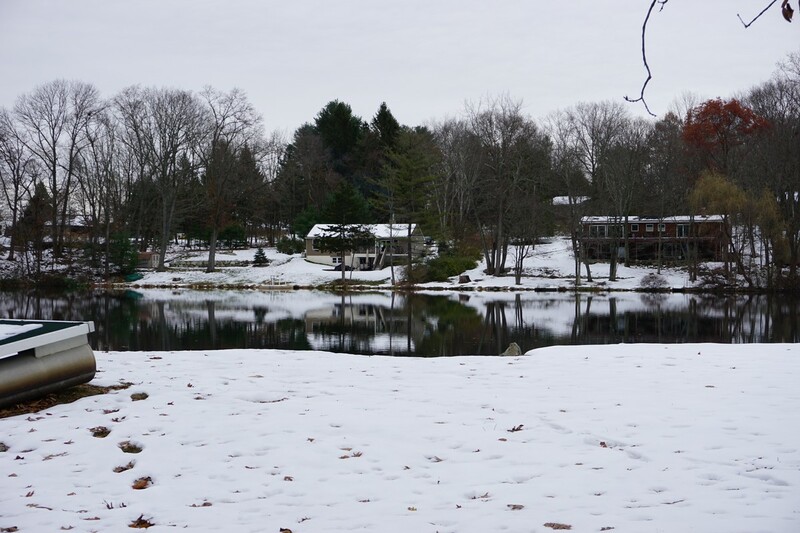 It had just snowed on the previous Thursday an unseasonably early November snowstorm, with several inches of snow. 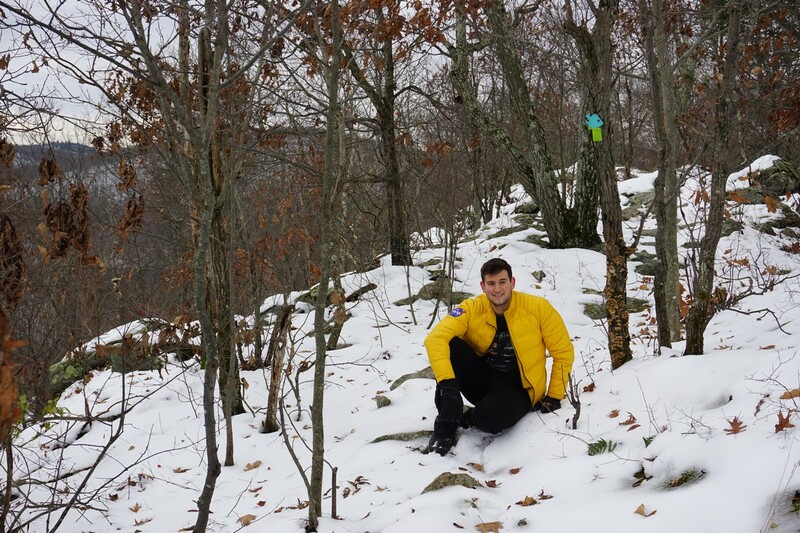 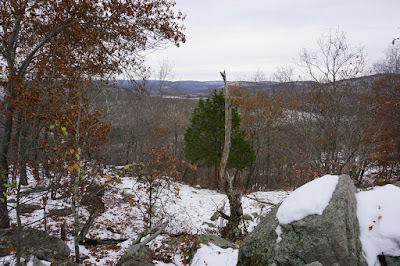 The snow was still around in the area on this hike, making conditions for the hike more difficult. 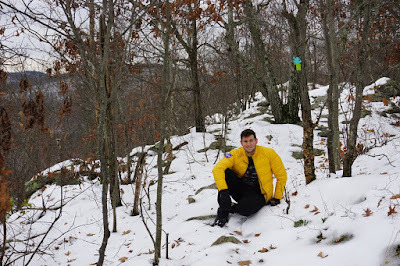 It was also very cold for this time of year, requiring us to bundle up more than usual for November. 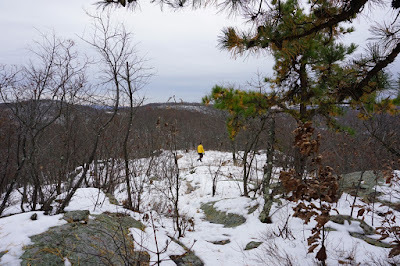 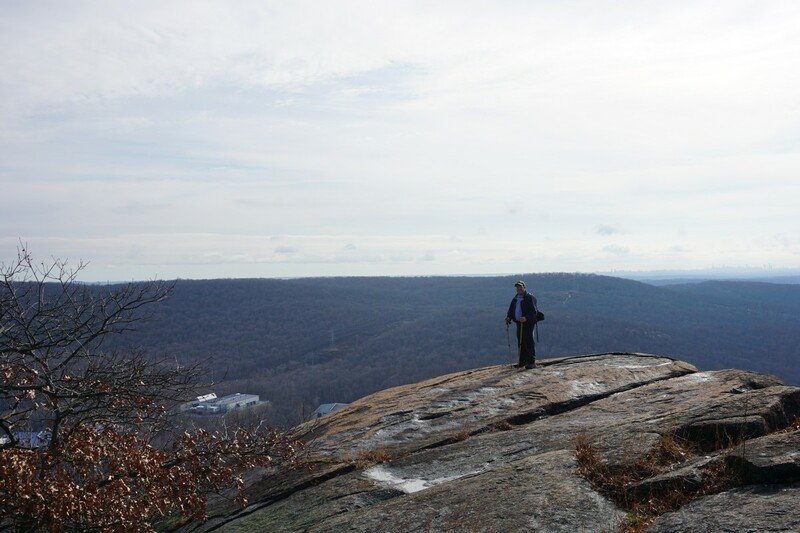 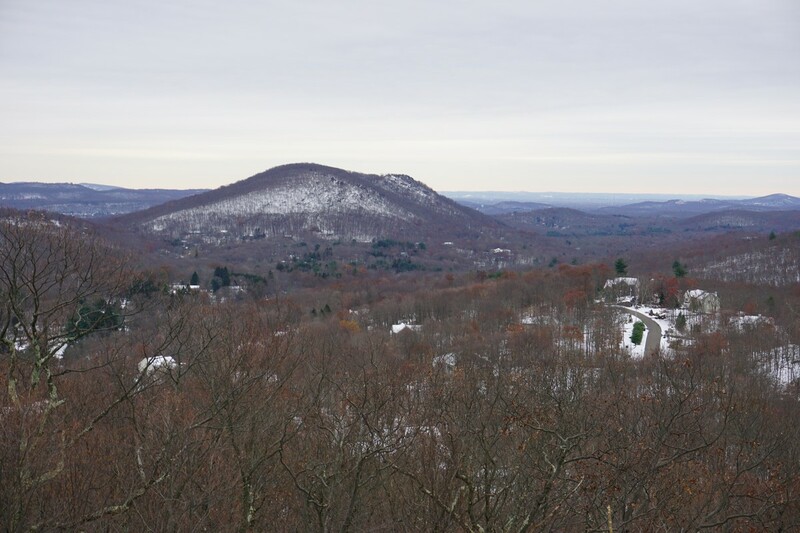 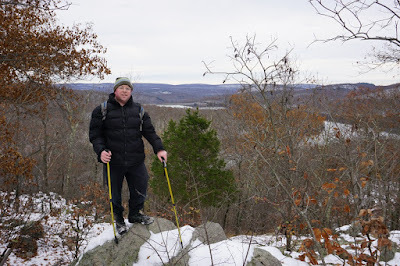 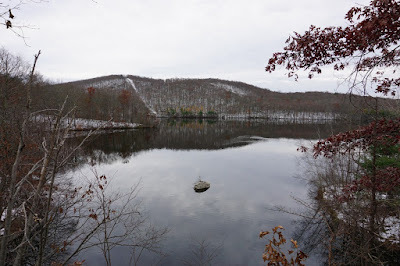 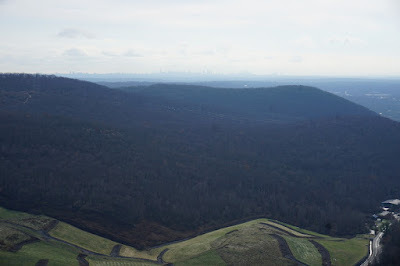 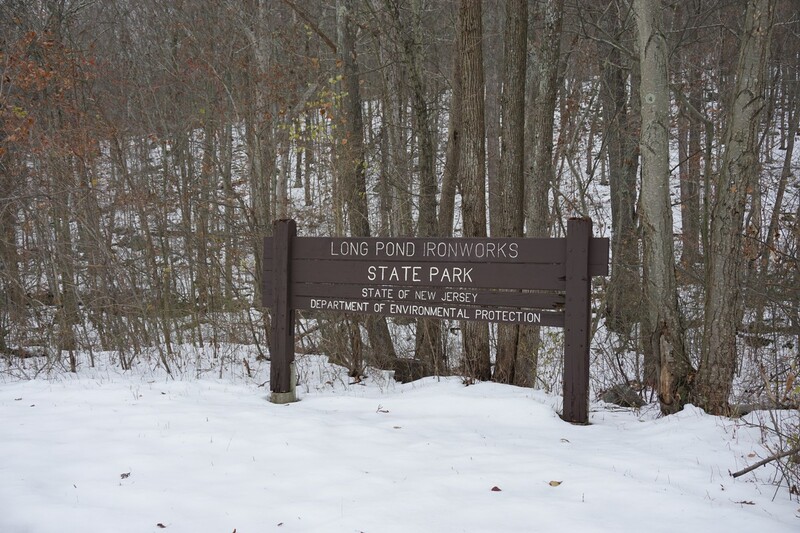 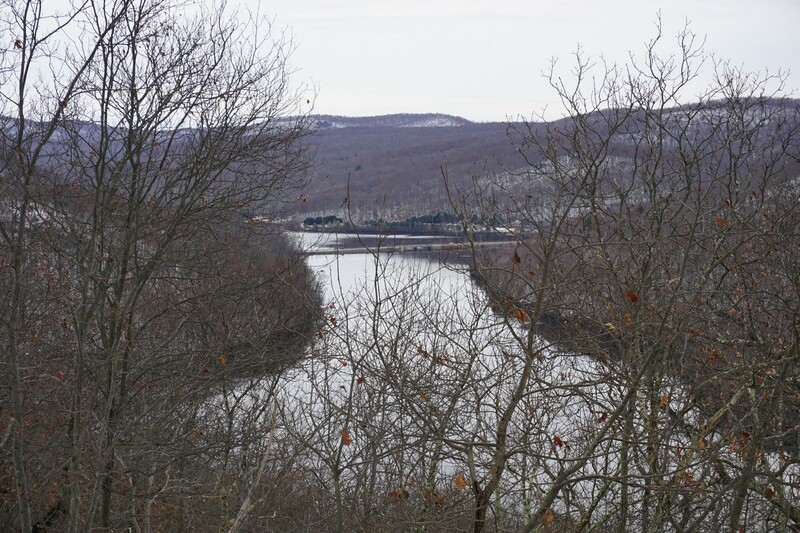 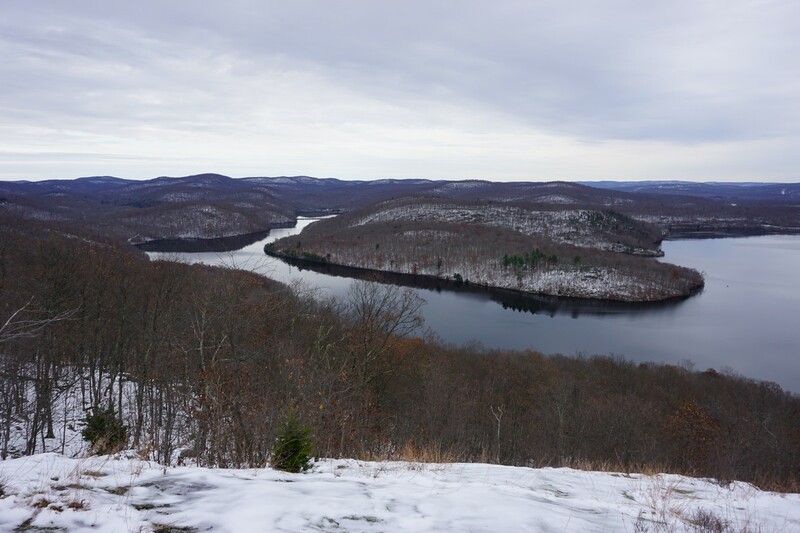 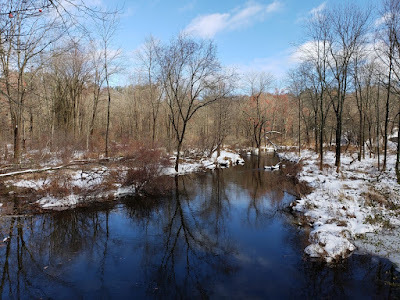 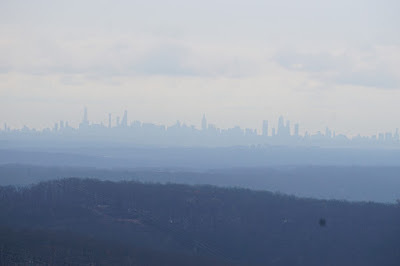 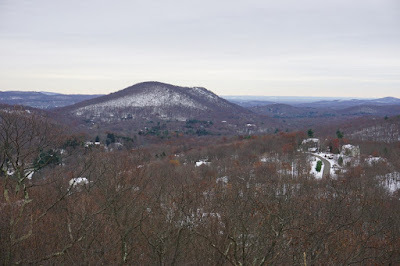 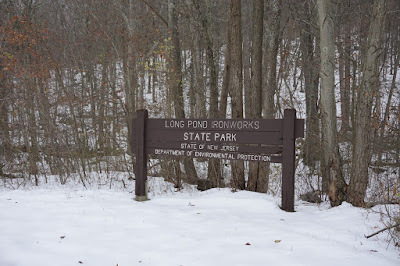 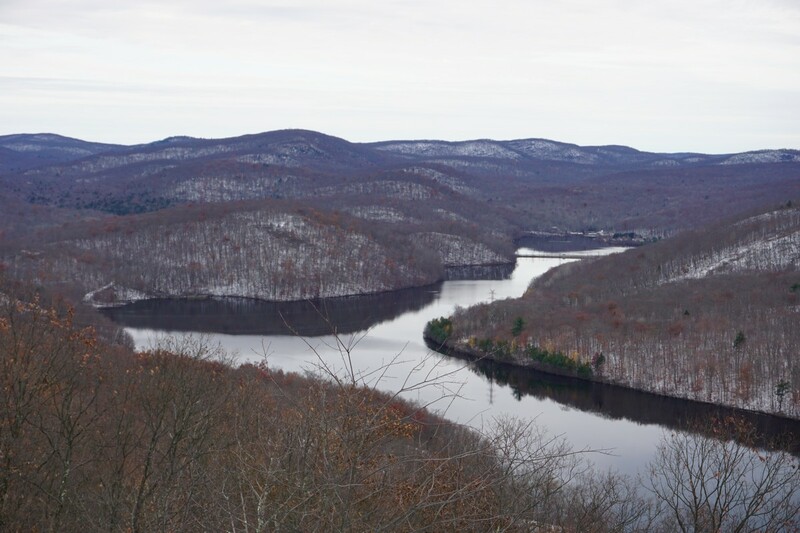 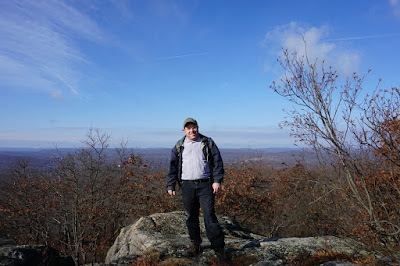 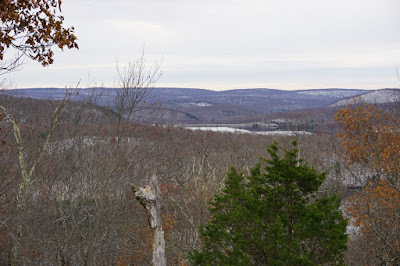 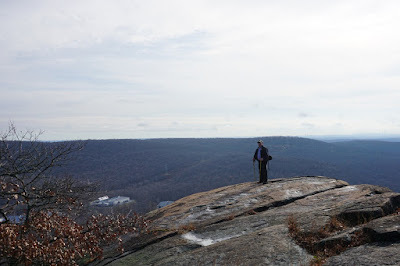 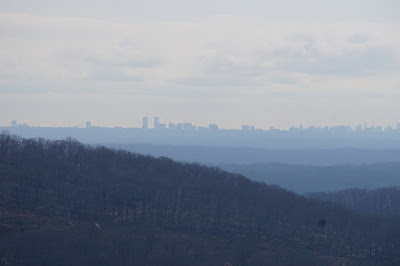 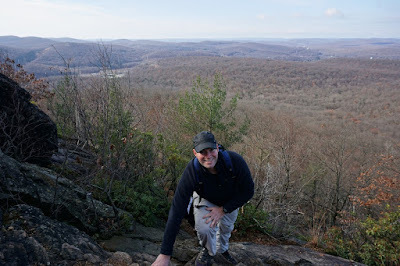 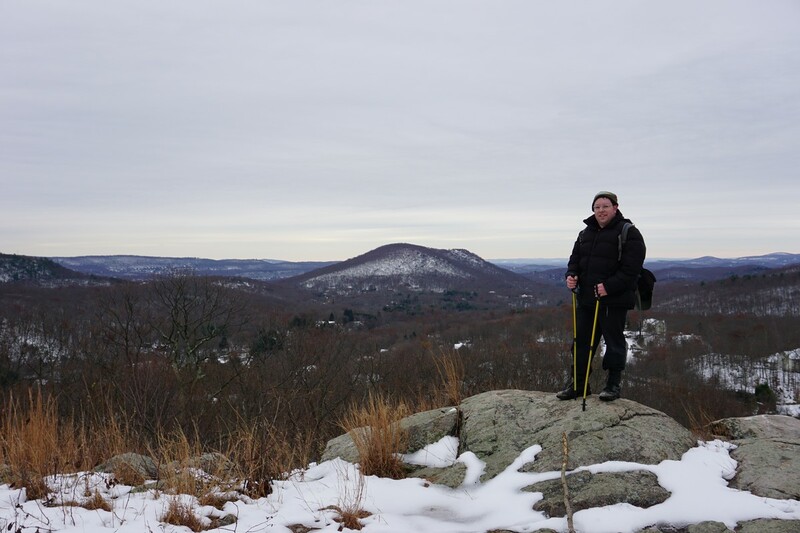 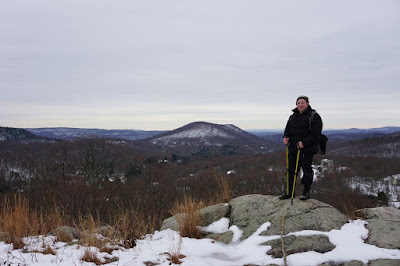 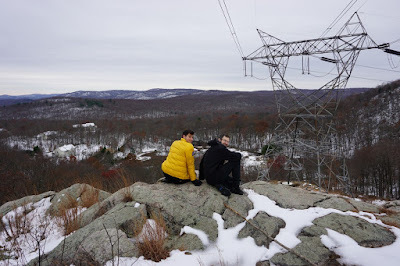 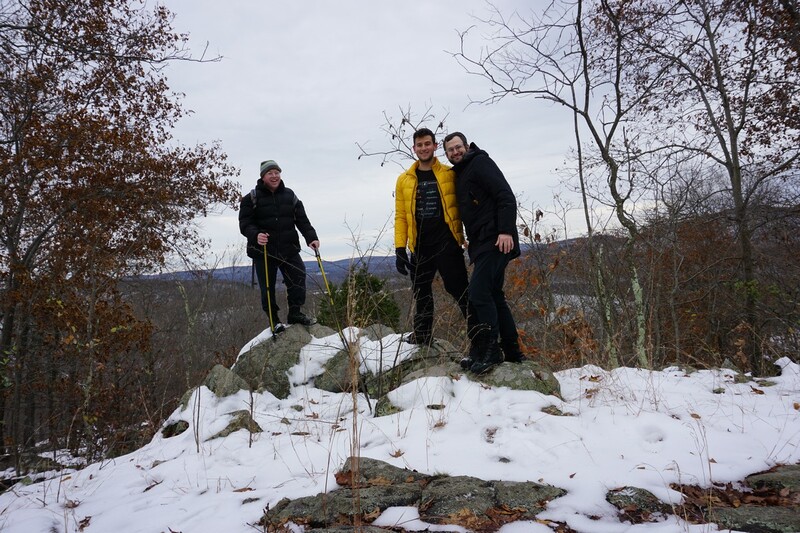 We started from the first car on Greenwood Lake Turnpike and took the combined Hewitt Butler Trail and Highlands Trail along to the side of the reservoir, and then climbed up the ridge to the Horse Pond Mountain Trail. 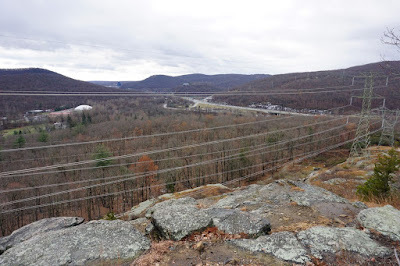 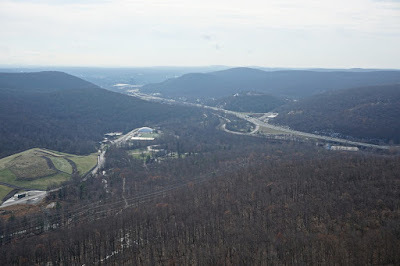 We passed several scenic ridges here, and then climbed back the last steep climb up Harrison Mountain, at the power lines, and then headed back down to our car at Lake Riconda. 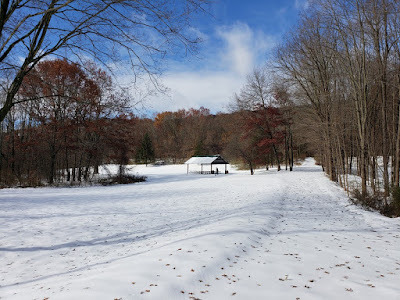 We had an unusual November snowstorm. The forecast had called for a coating to an inch of snow and ice, but it snowed 10 inches in a rare November Nor'Easter that crippled the roads and messed up everybody's evening commute. 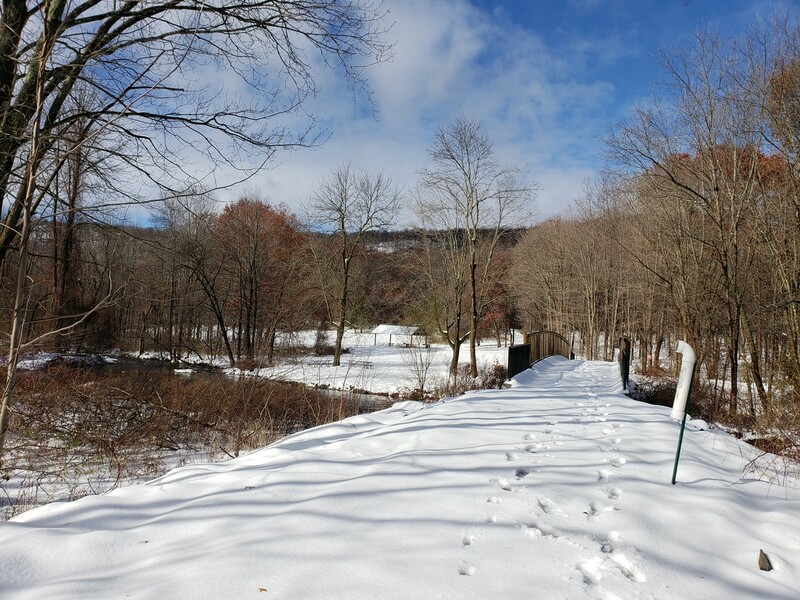 The morning after the storm it had warmed up, and the sun came out. 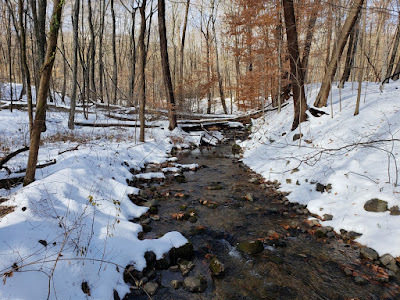 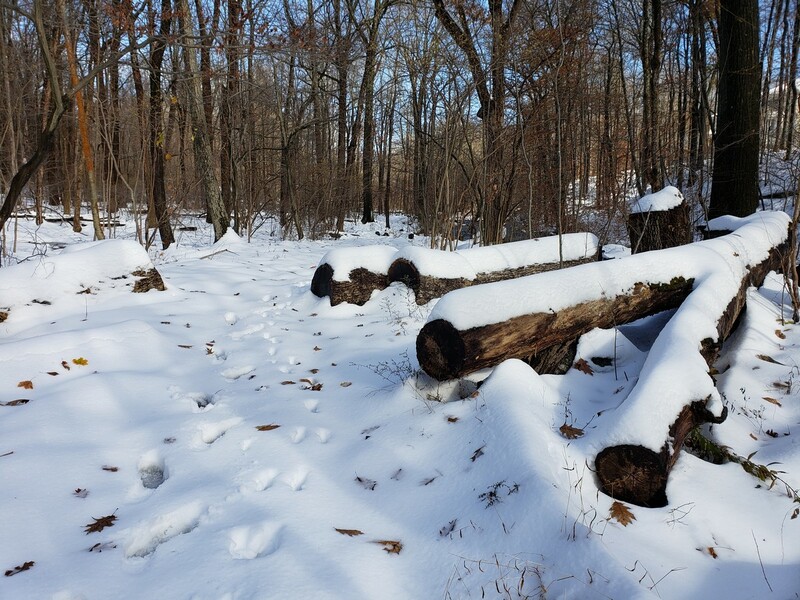 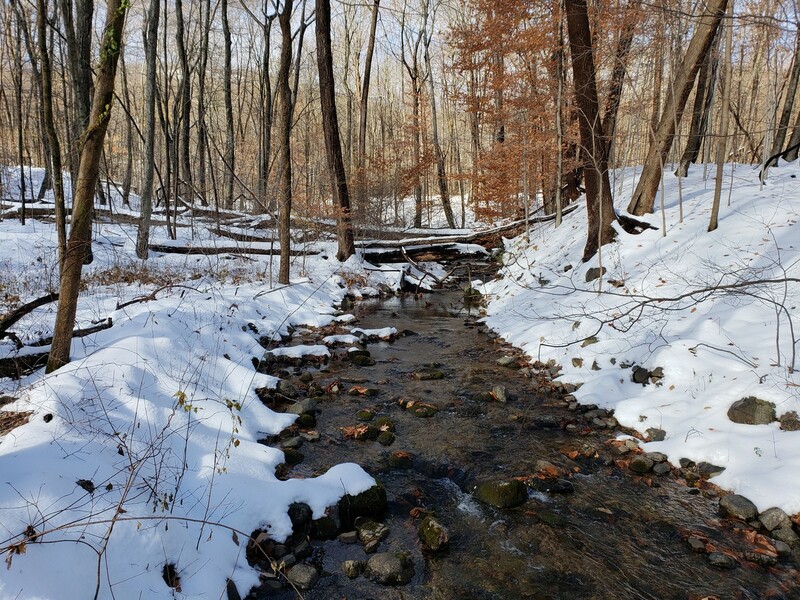 I took the opportunity to go on a quick hike at Kakiat County Park to enjoy the season's first snow, prior to heading off to work. 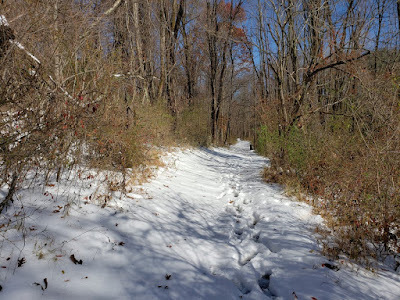 I parked in the Kakiat parking lot, and took the short Old Mill Trail in its entirety, to the Kakiat Trail, when I took to the end back to my car. 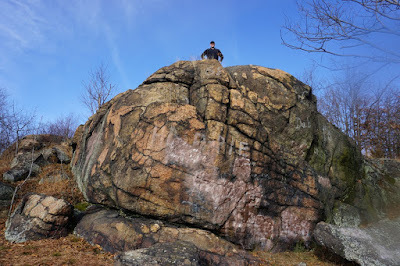 Kakiat Field. 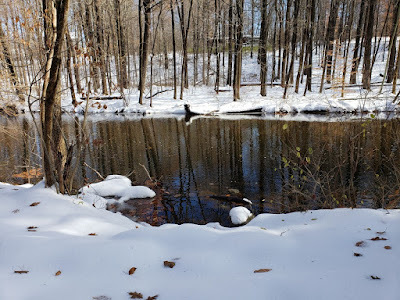 Note the Freshly Fallen Leaves above the Snow.